I have a question about how rss reader works, or rather where it gets one bit of data in particular. Underlined on this image is a bit of text that is not present in the mark up of the feed, so the question is, where does it come from? If it's not in the markup, I assume Opera adds it (the feed name) to each entry. It's not the feed name though. 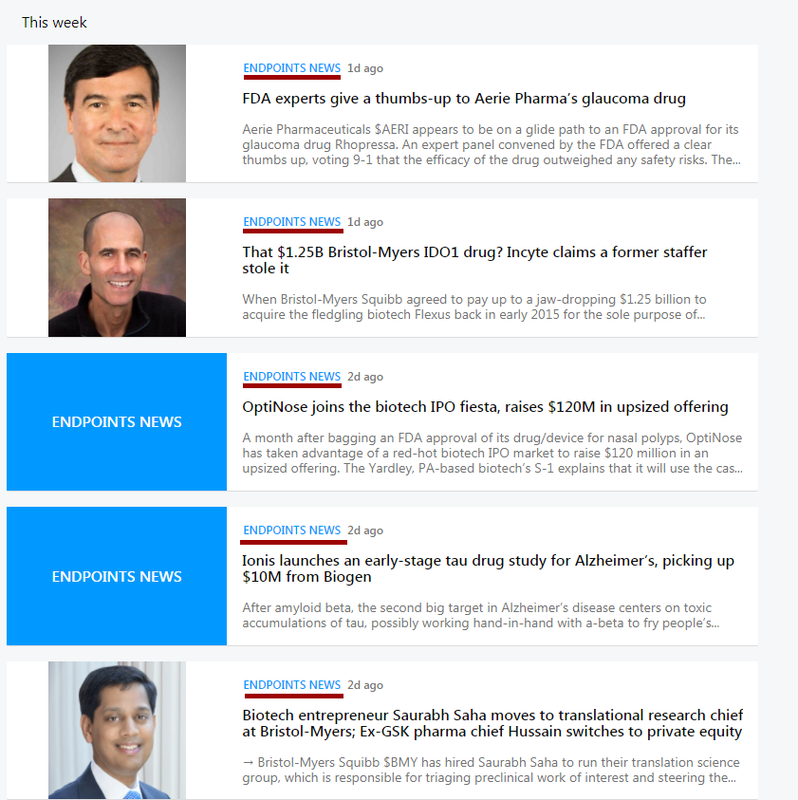 You're saying "UNIVERSAL ENDPOINT - ENDPOINT NEWS" above "Test of test" (and in white on the blue background) shouldn't be there and isn't in the markup and that it should say "ENDPOINT NEWS - Feed for Pfizer" instead? Kind of hard to tell if that's what you're saying from the pic. Do you have the link to the feed also so I can play around with it (I know you said it's not in the markup, but still want to play with it). ENDPOINTS NEWS - Feed for Pfizer is the string between title tags of the channel so I guess it should say that instead.